roundhouse | Phil – Refuelled! 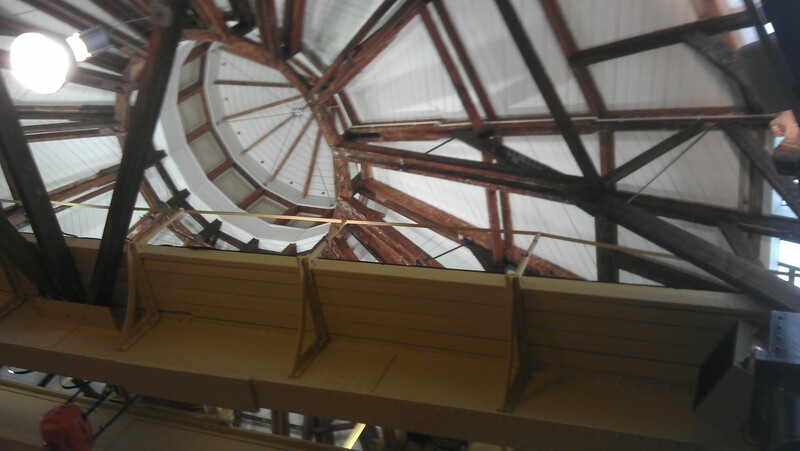 Today, I happened to look up… and this is what I saw: it’s the roof of ‘The Roundhouse’ – once an actual locomotive roundhouse, now part of a college. Spare a moment to think of the designers and builders – no computers then, all drawn and calculated manually! Prompted by ‘Monday Mobile’ here, at Cakes Photos Life.